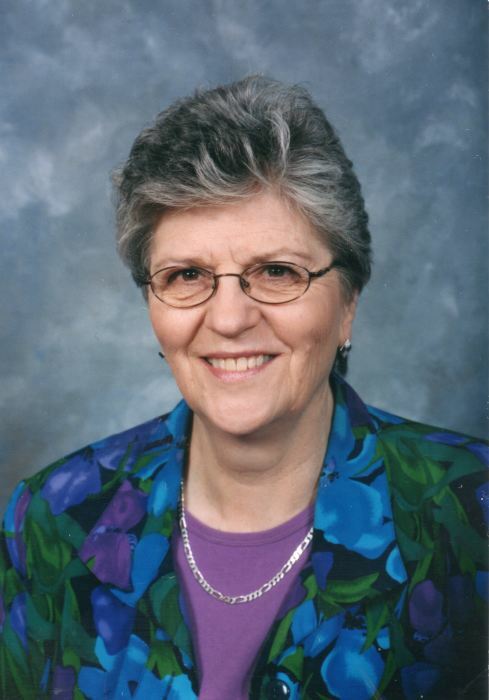 Andrea Elisabeth Twitchett (nee Johnson), passed away peacefully at age 79 on November 26, 2018 after a courageous battle with liver cancer. She was born in 1938 in Winfield, Alberta to Stan and Frances Johnson. She married her loving husband Charles (Chuck) in 1961. Predeceased by Charles in 1989 and brother Ron in 2002. Andrea is survived by son David, daughter Dianne (Rob), grandchildren Robbi (Kim) and Katie, great granddaughter Thea, sister Diane (Barry), brother Buzz, nieces Erin, Lahni, Darcy, Debbie, Darlene, Deanna, Dale, Dawn, nephews Aric, Darren, Derek, Devin, Dennis and sister-in-law Sharon. Andrea was one of those special people whose pure heart, generosity and constant beautiful smile touched the lives of everyone she met. The family would like to especially thank all the wonderful staff at McKenney Creek Hospice and all of Mom’s special friends who helped make her final journey one filled with love, constant joy and happiness with a tea party or two thrown in for good measure. Please join us in celebrating her life on Sunday afternoon February 3, 2019, between 2:00 p.m. — 4:00 p.m. at the Haney Presbyterian Church, 11858 216 Street, Maple Ridge BC.